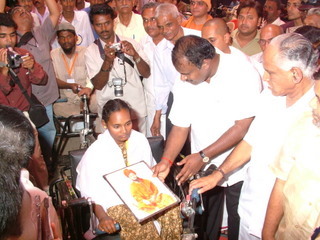 In the recent past (October – December 2009) Ramakrishna Ashrama, Mysore and ourselves jointly coordinated to undertake flood relief work in the badly rain affected areas of Bellary, Raichur, Bagalkot, Belgaum & Koppal districts. 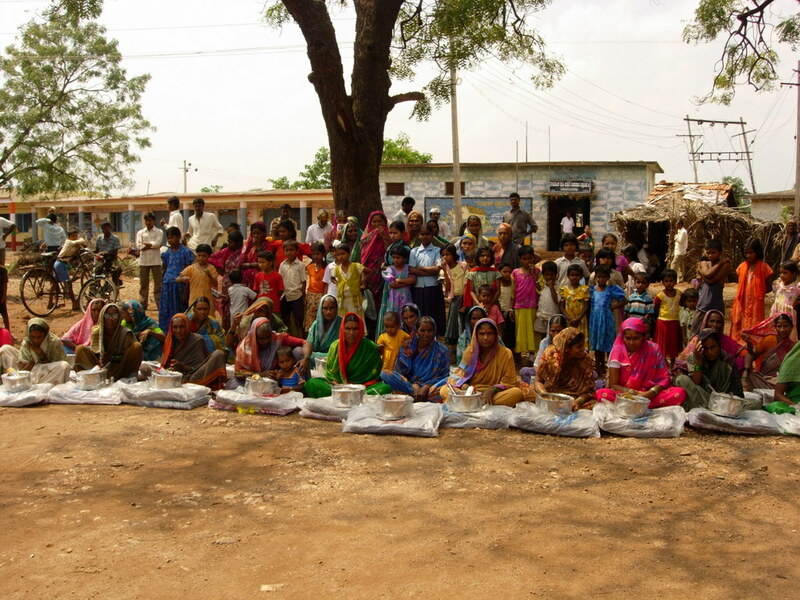 We endeavoured to provide whatever was the immediate need of the people affected. Relief materials worth more than Rs.20 lakhs in the form of providing cooked food, clothing, blankets, utensils, food materials, plastic tarpaulins, etc were provided to more than 3600 families. Rehabilitation work and construction of more than 200 houses was also undertaken. A s a part of its social service activities aimed at serving the underprivileged, we conduct monthly eye camps. These camps are aimed at preventing avoidable blindness caused due to cataract. Cataract, affecting the vision of the aged, makes them dependent. A simple operation, giving them back their vision also restores to them their independence and dignity. 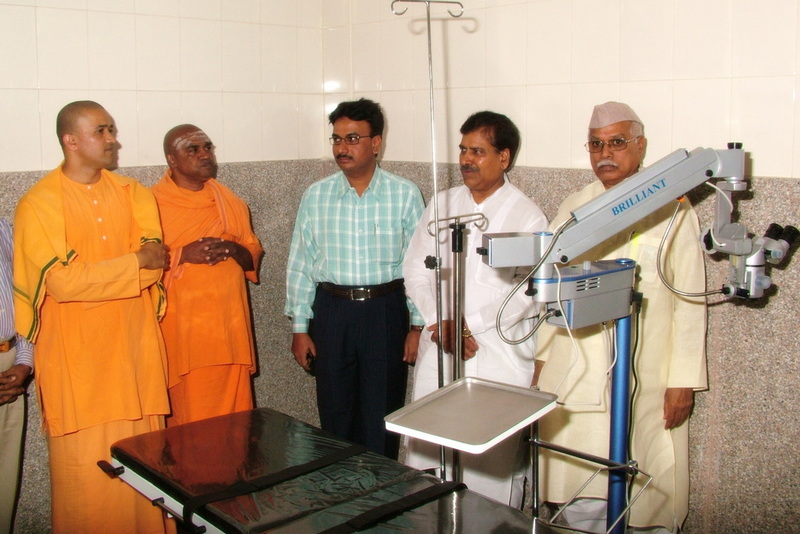 These camps called ‘Free Cataract screening and Eye Operation Camps’ are conducted weekly at the Mission premises. Surgeons and paramedics screen the patients and identify those needing cataract surgeries. Patients are discharged a day after surgery after necessary post-operative treatment. Patients are again rendered post-operative treatment as and when necessary. To render this service more effectively and reach a wider population, the Mission has built an Eye Clinic of its own – Sri Sharada Netralaya. The clinic has facilities to conduct screening camps as also perform surgeries. Surgeries are designed to be suture-less with IOL implants and the patients are discharged on the same day of surgery. These surgeries are performed free of cost. 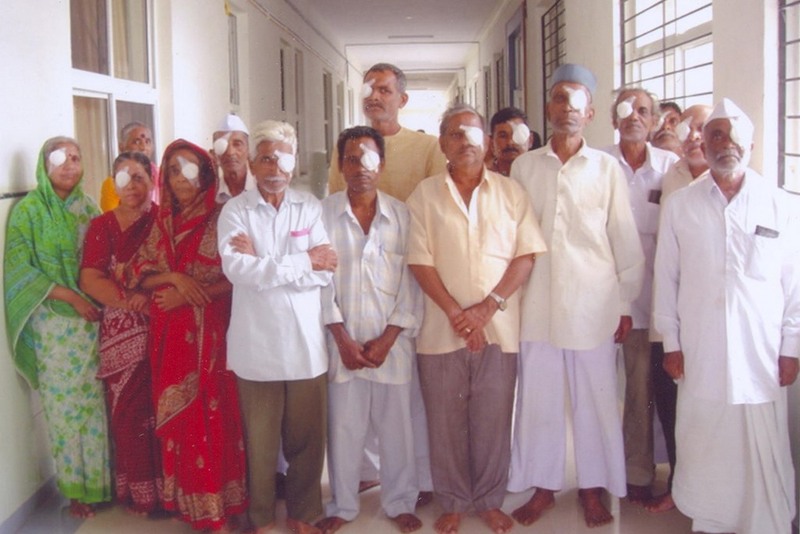 Eminent ophthalmologists of Belgaum and nearby districts are offering their services to this noble cause. 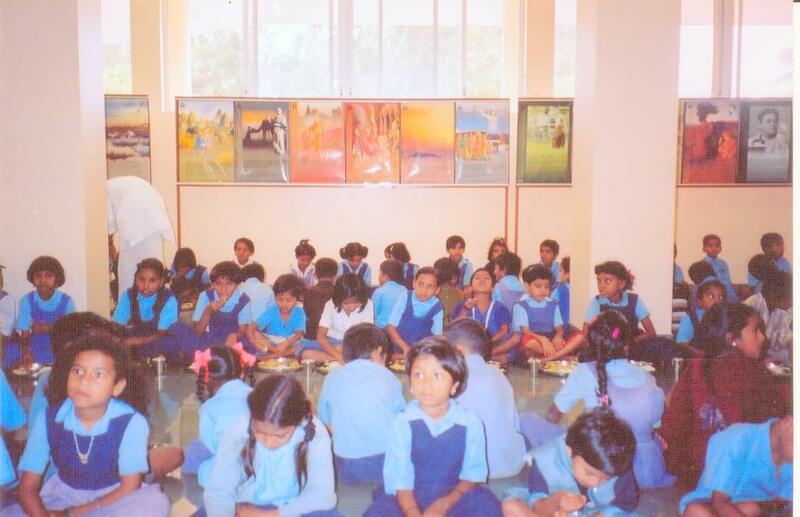 T he aim of this project is the physical, mental and intellectual development of children. Children are daily given milk, nutrient supplements (like purak-ahar made of soya bean, groundnut, oil, bajra, besan, and molasses) and vitamin tablets. School uniforms, notebooks, text books and other stationery items are also provided. 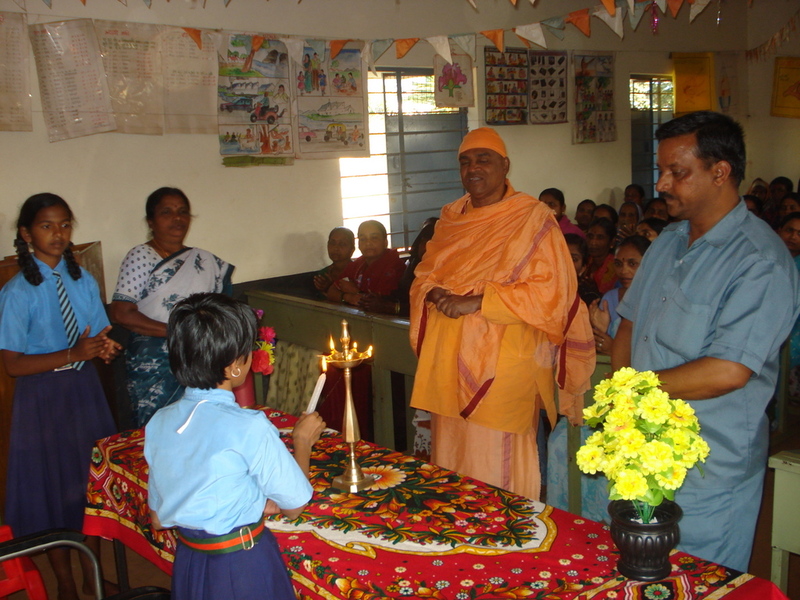 The students are trained in matters on health and hygiene. They are also urged to do regular exercise like Yogasanas and play games. A routine health checkup is also performed. Their aesthetic sense is nurtured by providing the children training on music, drama, Vedic and Gita chanting, etc. Discussing the lives of great men and women, national heroes, and displaying the Ramayana, Mahabharata and other inspirational movies nourishes their value and moral sense. The children are encouraged to participate in campus cleaning, classroom cleaning, watering plants, community services, etc. 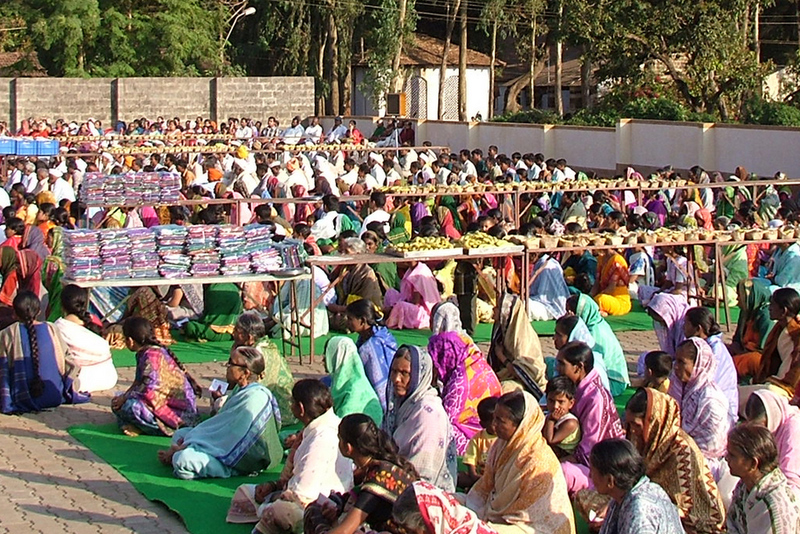 Since the beginning of the Ashrama, distribution of woolen blankets, bedsheets, towels, sarees, dhotis are being distributed amongst the students and the poor and needy people every year. These poor children go to the local government schools. We arrange to feed them with milk and snacks once a day. When they come to eat, they are t aught simple disciplines like cleanliness, orderliness along with some simple prayers and vedic chanting. We have initiated a periodical health checkup camp for poor people in a nearby village. The medicines are administered free of charge. The people are educated on topics such as personal hygiene, sanitation and the need for drinking pure drinking water. We also maintain data and visual logs as part of periodic surveys.